I encourage our VIP List members to send their questions over to me and let me know what their challenges are. This issue addresses one of those member submitted challenges and it has to do with consolidating social media posts. Where should our priorities be and how on Earth do we keep up without burning out? Is social media really that important and which networks should we be spending our time? First, let’s tackle the idea that we need to stay active on every social network. Even Pat Flynn, who started the “Be Everywhere” trend, says focus on just a couple of networks where your target audience is. I’ve always said that it’s important to setup our brand on every major social media network, if only to secure our brand’s presence there. That doesn’t mean, however, that we need to spend a ton of time on all of those sites. Essentially, this can help preserve the URL that best fits our brand and ensure that it’s there when we’re ready for it. In the mean time, research where your audience is the most and understand what’s working the best for you. For example, I’ve put everything on the back burner while I work Twitter, YouTube and Google Plus. I removed LinkedIn, Facebook, Instagram and every other social app from my phone. I’ll eventually bring those social sites back into our strategy but, for right now, those three networks are the best fit for our primary focus. Now, the consolidating part… I wish I could help simplify things but I’m afraid I’m going to actually make it tougher to keep up. I love automation and online tools a lot and have used both over the years but we’re seeing better results after reading Gary Vaynerchuk’s Jab, Jab, Jab, Right Hook$. It’s an amazing book and it really opened my eyes for improving results by treating each social share as an independent message, with their own image. In other words, the same image and message aren’t duplicated across the various networks, we try to spend a little more time and customize each for its audience. I haven’t mastered the technique yet, but we’re getting there. It takes a little testing and lot of patience. If you’d like to check out Gary V’s book, I’d be honored if you’d use our Amazon affiliate link at HotBlogTips.com/jab. So, what do you say Hot Bloggers, any advice for Mary? 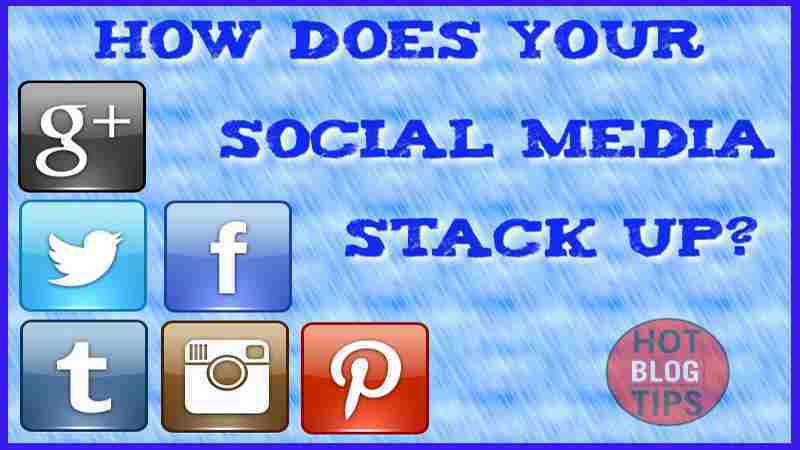 How do you handle your social media load? How important is social media and which networks do you focus on?